» Ibanez TS9 vs TS808: Which is the Best Option? Ibanez TS9 vs TS808: Which is the Best Option? 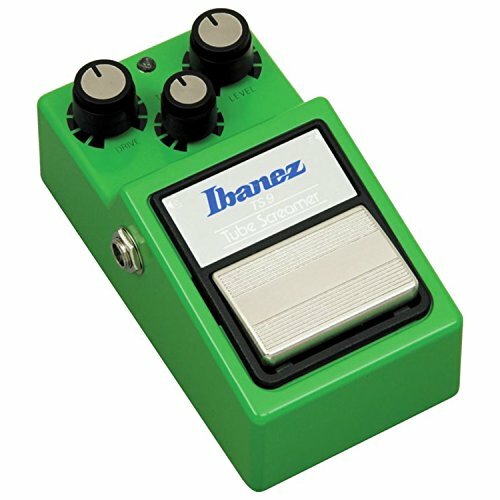 The Tube Screamer from Ibanez is one of the most highly-rated guitar effect pedals on the market. Not only this, but it has also become a base for the development of many innovative overdrive pedals. Some of them are clones of the original model, and the others are a version based on the same technologies and sounds. While there are several Tube Screamer models out there, Ibanez TS9 vs. TS808are 2 top-rated guitar pedals that should ideally be on your list. In the last few years, the Tube Screamer has helped several artists from different genre produce incredible guitar effects. It is indeed one of the most influential guitar effect pedals in the history of music gear. Top guitarists such as The Edge, Brad Presley, Stevie Ray Vaughan, and John Mayer simply love the product and recommend it to fellow guitarists. In this post, we’ll see what made the Tube Screamer a huge success. We’ll also look at two top-rated Ibanez Tube Screamer models: TS9 and TS808 and draw a detailed comparison between both the products. Read on to know more. First things first – What are overdrive pedals? Overdrive pedals are different from distortion pedals. Instead of changing the sound of your guitar completely, and overdrive pedal drives or pushes the guitar signal harder. An overdrive pedal helps a great deal in retaining the original sound of your guitar and amplifier by pushing the amplifier harder to provide it with a thicker and heavier signal. Overdrive pedals are typically used with tube/valve amplifiers as they allow them to show off their enhanced natural distortion that makes tube amplifiers popular. Ibanez TS9 Tube Screamer is one of the best overdrive pedals on the market. TS808 was the first Tube Screamer on the market, launched in 1970. And, at the beginning of 1980, TS9 as launched. However, it didn’t stick along for too long. Between 1985 and 1992, Ibanez released a variety of models into the market; nevertheless, every version was a shadow of either the Tube Screamer TS808 or TS9. The TS5 Sound Tank was an inexpensive and small plastic version released at the beginning of 1990. As time moved further, the guitar world started feeling that something was missing: a classic analog Tube Screamer. That’s when Ibanez reissued the classic analog versions of TS808 and TS9, in 2004 and 1992 respectively. One of the guitar experts on our team bought their TS9 nine years ago. They used it with different amplifiers, including their Marshall tube combo. The product is still in good shape. So, if you’re looking for a robust overdrive pedal for your guitar, you can consider the Tube Screamer a safe bet. Now that you have an idea of the background of Tube Screamer, let’s dive straight into the Ibanez TS9 vs. TS808 comparison. Ibanez Tube Screamer TS808 is also known as the “Pioneer of Signal Distortion.” It is one of the most innovative products in the guitar world. Here, we’ll discuss the classic model of Tube Screamer TS808 in detail. Our guitar experts tested the product over a week and performed thorough market research to bring the best of TS808 to you. When it comes to the physical aspect, the pedal is robust and durable. The die-cast chassis is so hard that it cannot get dented or damaged. It comprises an LED indicator that displays the status of your battery and effect. On first glance, the classic version resembles the original TS808. We have a vibrant green frame with a footswitch that comes with a vintage look. Every element of the TS808 classic resembles the original product. All in all, the product is lightweight, compact, easy to carry, and convenient to store. Do you think having the same body and looks is a great idea? Well, many existing users don’t! They expected the “classic” model to be a little “classier” when it comes to the appearance. Moreover, the footswitch is somewhat loose. TS808 comes with standard inputs/outputs and runs of a single 9V battery. You can call it a vintage pedal or an overdrive pedal with great tube sound. The TS808 pedal comes with a square footswitch and comprises the same JRC4558 chip as the original model. The knob on the pedal controls overdrive, level, and tone. So, you can modify the sound as per your preference. When it comes to performance, everything about the classic version of Tube Screamer TS808 is great. And, you’ll find the pedal in almost every guitarist’s arsenal. The pedal can help you produce smooth, breathtaking sounds, without hampering the quality. Once you set up the pedal and start rotating the volume knob, all the deficiencies in your sound will vanish within minutes. Cut short – the tone of TS808 is a soft overdrive with a collection of melodious tones. At half gain, TS808 will add deepness to your fresh sound, without really pushing the overdrive too far. To leverage the pedal to its maximum potential, you can connect it to an amplifier’s distortion setting for creating a glossy valve tune. If you’re still not sure about the pedal’s performance, rest assured as it is a part of Stevie Ray Vaugh’s list of favorites. However, if you compare it to other modern overdrive pedals on the market, it may fall a little short in terms of distortion. But, if you know how to produce a good tone using the controls, you’ll like TS808. It is basically a pedal that does not demand a lot of work and innovation, just go with the flow, and it’ll work best for you. Also, keep in mind that running Tube Screamer T808 through an effects loop is not a good idea at all. The pedal doesn’t function properly if you don’t feed it to the front amplifier directly. At the end of the day, we were pretty satisfied with TS808’s features and performance. You get the sound you’re looking for, and that’s about it. However, there are a few things which the brand can work on. A different and more innovative knob could have made a world of difference. To sum up, if you’re struggling to find the original version on the market and looking for something close, Tube Screamer TS808 can be an ideal pick. Ibanez Tube Screamer TS9 is also an overdrive pedal, and not a distortion pedal. It is one of the most highly preferred pedals when it comes to rock guitar. Along with TS808, our guitar enthusiasts also tested Tube Screamer TS9 and performed thorough market research to see what existing customers are saying about the overdrive pedal. The look and feel of Tube Screamer TS9 Classic are authentic and elegant. From the sea green body to the 80s-style control knob and foot switch. In fact, TS9 was first manufactured in the same manufacturing facility as the original version. The sound delivered by Tube Screamer TS9 is crisp, smooth, warm, and mid-range. When you push the amplifier beyond the breaking point, you get a beautiful overdrive sound. So, if you’re a light rock, blues, or country guitar player, this is one pedal you can explore. During the testing phase, our guitar experts put TS9 in front of a Traynor tube combo amp for some extra energy; it worked brilliantly. Tube Screamer TS9 will provide you with the crispy sound you need and tighten up the tone a little. It sounds good with a solid-state amp, but with a tube amp, it sounds perfect. Once again, if you play country, blues, or specific styles of classic rock, the pedal will be easy to set up. All you need to do is prepare your signal chain, set up your amplifier for clear sound, and move to this little green wonder whenever you need an extra crunch. Tube Screamer TS9 comes with a simple design comprising 3 knobs – overdrive (for controlling the gain), tone (for adjusting the tonal quality), and level (for controlling the output signal). The pedal is powered by a standard 9V battery or an AC adapter. A big red LED indicator sits on the face of the unit and displays the battery status. Performance is the most important aspect of any device. And, the same applies to Tube Screamer TS9. While browsing through the reviews of existing customers, we found that many users are not satisfied with the sound quality delivered by TS9. They find the sound “rough,” “harsh,” and “unclear.” Nevertheless, our guitar experts did not notice any such harshness or roughness in the sound during the testing process. However, they were able to explain the reason behind the slightly negative feedback from existing customers. There can be 2 reasons behind the harsh sounds – the main IC used in Tube Screamer TS9 is manufactured by a different brand and is not the same as the original mode, or capacitors and resistors used inside the pedal waver a little from the original readings as they become old. All in all, any sound quality discrepancy between TS9 classic and the original model is minute. Ibanez Tube Screamer TS9 Classic comes with a light clipping distortion effect that is nice, soft, and pleasant for adding an extra drive. Not only this, but at maximum value and minimum drive setting, you can also get the clean boost effect. When you use Ibanez Tube Screamer as an individual overdrive unit, instead of a boost, the device will provide you with a powerful dynamic overdrive effect. 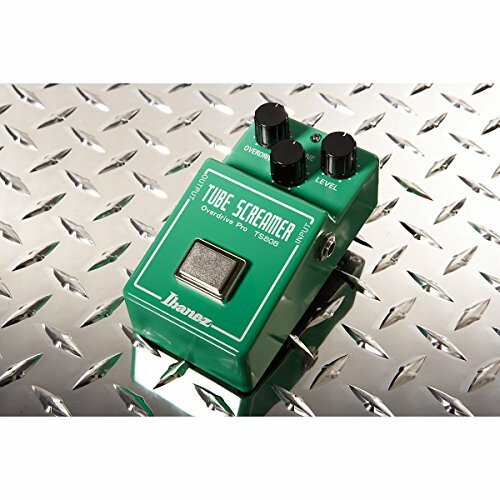 Even though TS9 is not a metal distortion pedal, you can use the Tube Screamer for metal. You can use the pedal’s gain along with your amp’s gain. This can push your amp harder into an overdrive. However, the effect will color the tone signals. The result – an awesome-sounding pedal you’ll like. The second option is to use TS9 as a boost. This option is suitable for players with amplifiers that are already using high-gain distortion. If we had to judge Tube Screamer TS9 on its accuracy and authenticity, we would give it a high rating. Back in the 80s and 90s, the TS9 was used as one of the best overdrive pedals on the market. But today, there are several other overdrive pedals that beat Tube Screamer TS9 when it comes to performance, versatility, and price. For those who’re looking for quality over price, the TS9 can be a good option. While the sound delivered by TS9 is fairly sensitive and dynamic, for the best tonal quality Tube Screamer TS808 would be a great option. 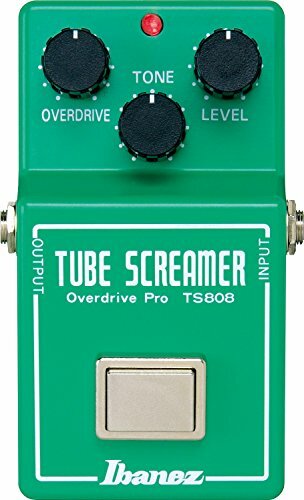 What type of pedal is Tube Screamer? 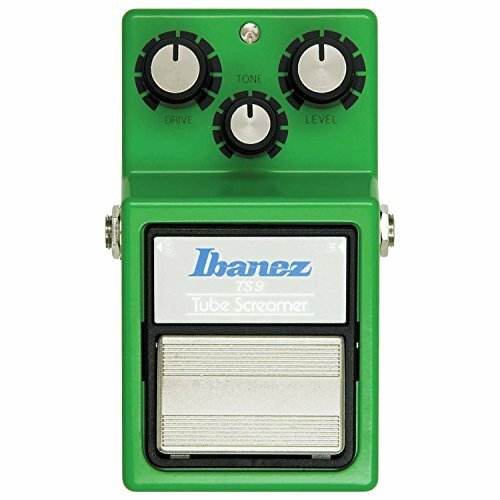 Ibanez Tube Screamer is an overdrive pedal that allows guitar players to bring out the best sound from their guitars. A TS9 is not true bypass. When connected and not in use, it can affect the tone. However, the extent of disturbance caused to your tone depends on several variables. Which Tube Screamer did Stevie Ray Vaughan use? In search of a bluesy edge, Stevie Ray Vaughan came across Tube Screamer TS808. Since then, he’s using Tube Screamer to drive his amp, whether it is a Fender or any other brand. Ibanez TS9 vs. TS808 – Which is the best choice? When you closely look at the product details displayed on the manufacturer’s website, you’ll notice that TS9 is referred to as the reissue of the authentic and original Tube Screamer. While TS9’s design is similar to the design of Tube Screamer original version, there are some key differences between TS9 and TS808. If you use a solid-state amplifier, the TS9 will certainly be a suitable choice. Sonically, TS9 is a little more aggressive. It comes with a heavier treble effect and sound delivered is slightly tighter. There is more of a compression feel than the open, airy feel provided by TS808. Tube Screamer TS808 comes with a vintage look and modern effects. Since it comprises a completely analog-circuit, it’s a little expensive. In terms of aesthetics, Tube Screamer TS9 is a true copy of the original Tube Screamer. Even the green shade of both the products is similar. Just like the original model, TS9 provides you with 3 tone-shaping control knobs along with the foot switch. When it comes to price, TS9 is a more easily affordable, durable, and versatile overdrive pedal that functions just like the original model. In the end, every decision trickles down to your exact requirement. There is no hard and fast rule when it comes to picking the better option in the Ibanez TS9 vs. TS808 debate. Both the overdrive pedals provide a wide range of overdrive tones and sounds. Tube Screamer series is popular among leading guitarists, and both Tube Screamer TS9 and Tube Screamer TS808 are the top choices. We hope you found our detailed Ibanez TS9 vs. TS808 comparison useful. If you have more questions about either of the two Tube Screamer versions, you can post them in the comment section below, and we’ll get you the answers from our experts. Also, if there are any other guitar-related products that you would like us to review or compare, you can write to us, and we’ll get to work as soon as we receive your request. Distortion vs Overdrive- What’s the Difference? Blues Driver vs Tube Screamer – Which Distortion Pedal Should You Buy? Jodie is a trained classical guitarist. She is also a full-time blogger and loves to write about different types of guitars. Just give her 60 seconds of your time, and she’ll tell you all that you need to know about any guitar of your choice.